The recent case in Louisville, Ky., of a shooting at an HOA meeting that left a 73 year-old former president of the association dead on the scene of a gunshot wound to the head was a horrific tragedy. 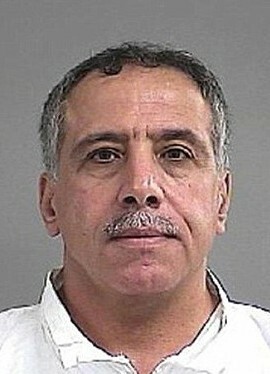 The alleged shooter, who is pictured below, was a member of the HOA who had a history of disputes with the association over a fence that the association said did not meet its height or design requirements, and he is now being held on a $1 million bond (click here for the full article in USA Today). This case illustrates some of the real and disconcerting dangers that may arise in an HOA or condo association community in the event of escalated disputes between owners and the board. Boards and owners become embroiled in disputes on a regular basis, and the boards must remain cognizant of the possibility of dangerous individuals taking violent actions against their members or others in the community. For some association boards, these types of disputes are going to be inevitable due to the actions of individual owners. As such, associations should take care to act as reasonably and professionally as possible in the process of enforcing all of their restrictions and rules, even with the most recalcitrant owners. Boards should be cautious and vigilant with all of their enforcement actions, and they should not take lightly any potentially dangerous threats to their safety and security as well as that of the other members of the community. If a unit owner makes any kind of threat of physical harm against a board member or fellow owner in response to an enforcement action, the matter must be taken with the utmost seriousness and should be immediately referred to the local police department. Efforts should also be coordinated with association counsel to ensure that the association is proceeding with appropriate action to avoid casualties and damage that may be caused by the threatening individual. Determining whether a threat is vague or veiled is ultimately left up to the judgment of the board members and/or owners who are involved, but boards should always err on the side of caution with these disputes. As the recent shooting in Kentucky reminds us, they can and sometimes do escalate to become serious matters of life and death.